How many defining moments can you remember from your pre-school and school years? How many of those were positive? Recently, I had the surreal, and incredible, opportunity to hear the impact a few words, a look and a smile can have on those students we are lucky enough to learn and work with. Talking with a student from my first year of teaching, now in their early 20s, I heard them recount a tiny statement of belief I made about them… one which I actually had no memory of. Why does this matter? Every day teachers have a profound impact on people’s lives. Some days we drastically make a difference, others we may build slightly more belief in a person, while others may feel like we’re hitting our head against a brick wall. Whatever kind of day it is, we are always building on the impact and belief created in those students the day before. In finance, they call this compound interest, what Einstein allegedly coined the “8th Wonder of the World”. The idea of this is an initial investment builds on itself each year… what seems small at the beginning increases exponentially in value over time. I believe the supportively challenging words and actions used by any teacher or educator are the 9th Wonder of the World. Those powerful words and actions cumulatively build up every moment, every hour, every day. The initial investment of a smile and a thumbs up, leads to conversations, which leads to listening and guiding others to see possible directions for them… which leads to an incredible investment being created: a person who better understands themselves, their world and their possibilities for positively impacting it. So, what’s the catch? Well, there’s two. Firstly, we need to remember the power we hold in simply sharing what we see in those around us and telling them how they could (or are) impact those around them. Secondly, chances are we might not see or hear the return of that initial investment. Instead we need to remember to make time to recognise and celebrate those small impacts and changes that are happening every day (because they are happening every day, if we look for them). Write it down, tell someone or simply say it out loud to yourself. However you do it, make it real and take it out of your head. And don’t forget to smile and possibly high five yourself… if you’re by yourself somewhere, maybe. 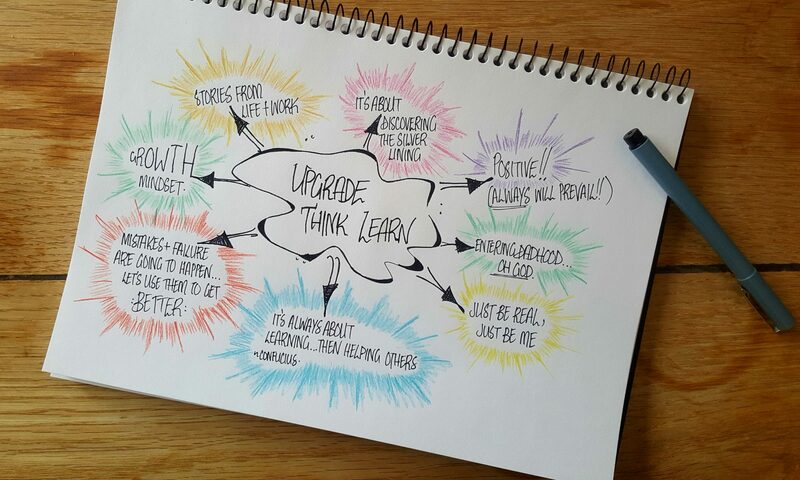 Listen to the Upgrade Think Learn podcast on Apple Podcasts and Spotify, or join our emailing list to get more incredible tips from amazing teachers!